Many years ago the Tiffin chocoalte bar used to be available in the UK, but at some point in the past its production got limited to Ireland. I’ve had the Irish bar, it was foiled and paper wrapped and the chocolate tasted different to the UK bar. Only subtly different, but it had a stronger cocoa flavour. I was curious to see if this new UK edition was made with the same rich chocolate. 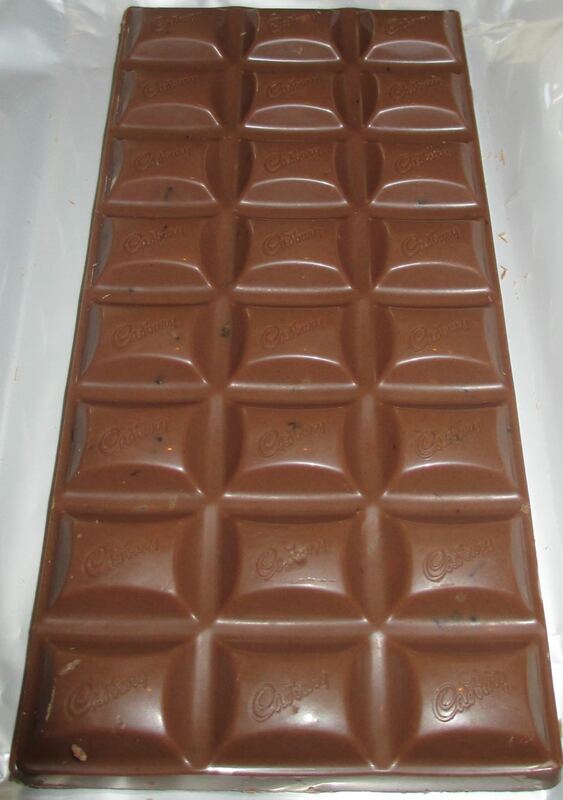 I unwrapped the bar and from the front it didn’t look much different to a regular bar of Dairy Milk, just a hint of some of the fruit peeping through. From the back you can see there are lots of tasty ingredients packed into the bar. Now I said “fruit” earlier, this is because the back of the pack confused me slightly, the official ingredients of this bar are: “milk chocolate with dried grapes and biscuits”. 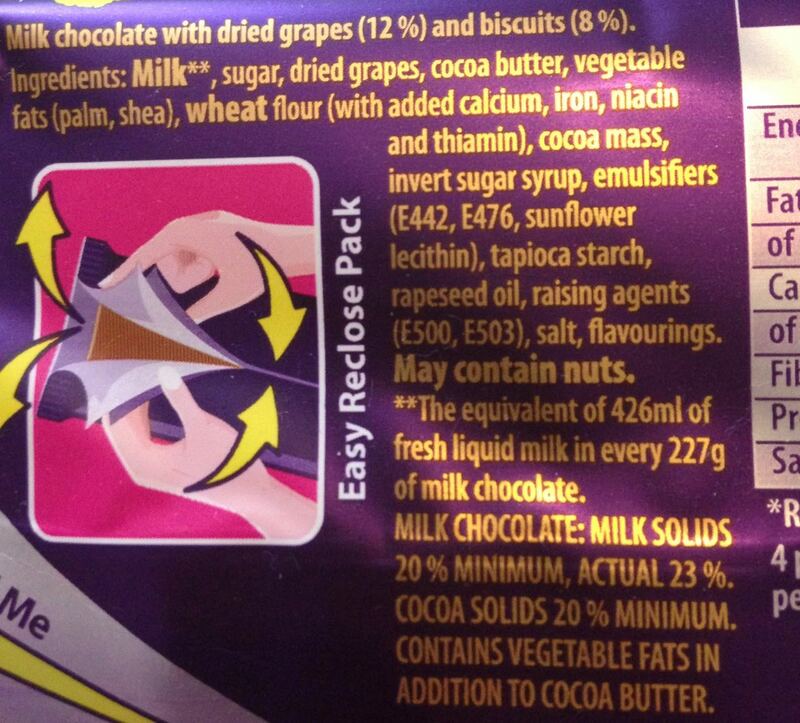 I thought the popular name in the UK for “dried grapes” was “raisins”, it is an odd phrasing to use on the packet. So the taste test, and I have to give this the thumbs up. The base chocolate flavour doesn’t taste dissimilar to the normal UK Dairy Milk, its sweet and creamy, and I don’t think it is the Irish recipe. There are plenty of biscuit bits and raisins (ahem “dried grapes”) and they add lovely combinations of texture and sweetness when you munch. 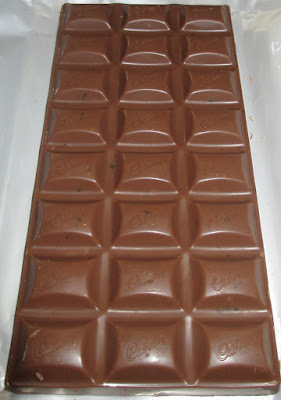 The varied texture makes this a fun bar to eat, and one that I think should get a permanent release in the UK. It is a simple idea, combining biscuits, raisins and chocolate and it works perfectly. 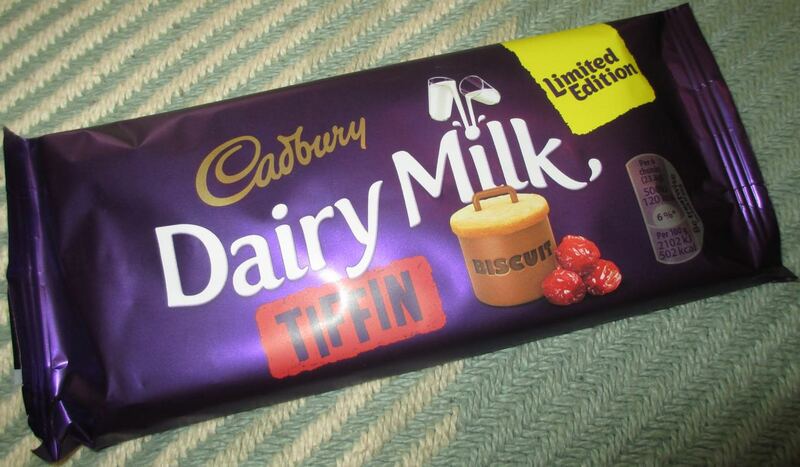 No wonder people import Irish Dairy Milk Tiffin bars from Ireland. Are they freeze dried grapes instead of raisins? The grapes pictured on the wrapper look more like freeze dried grapes than raisins. 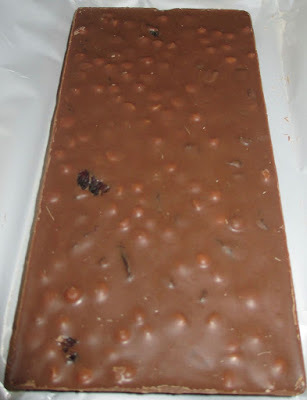 Not OP but I tried this and would have called them raisins, the bar reminded me of a fruit & nut, except instead of nuts there was biscuit.